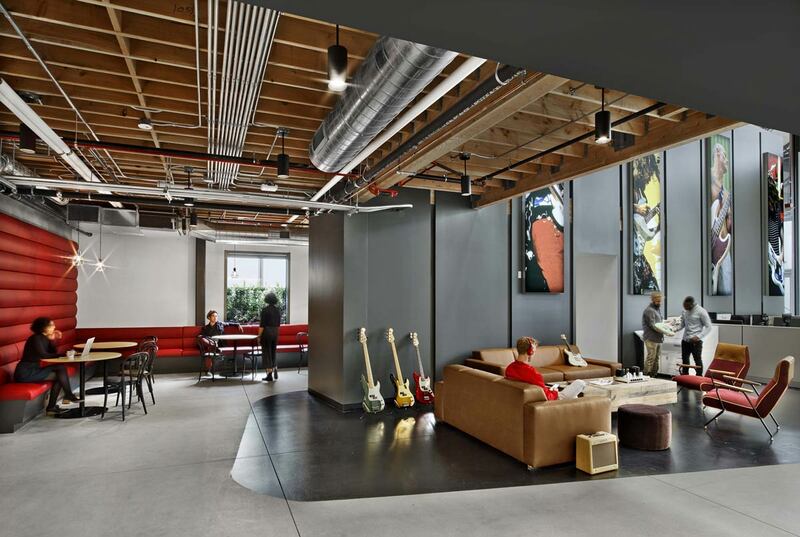 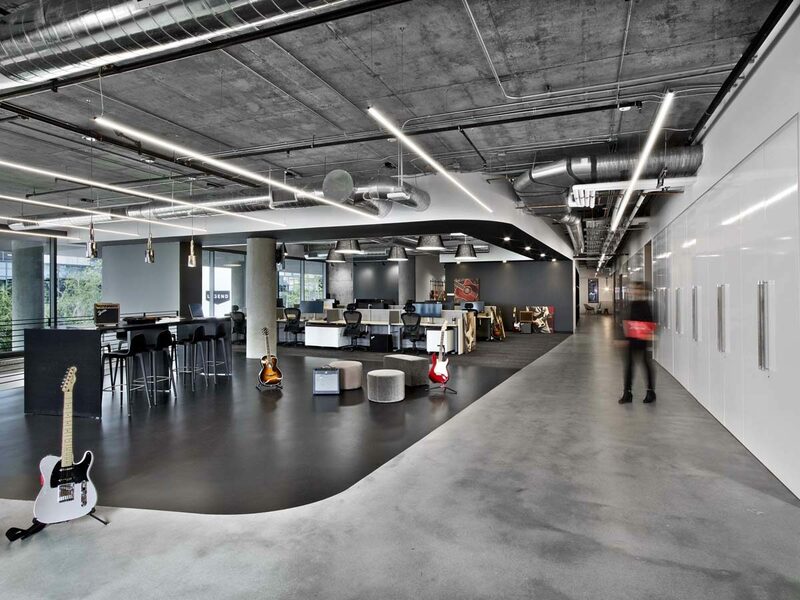 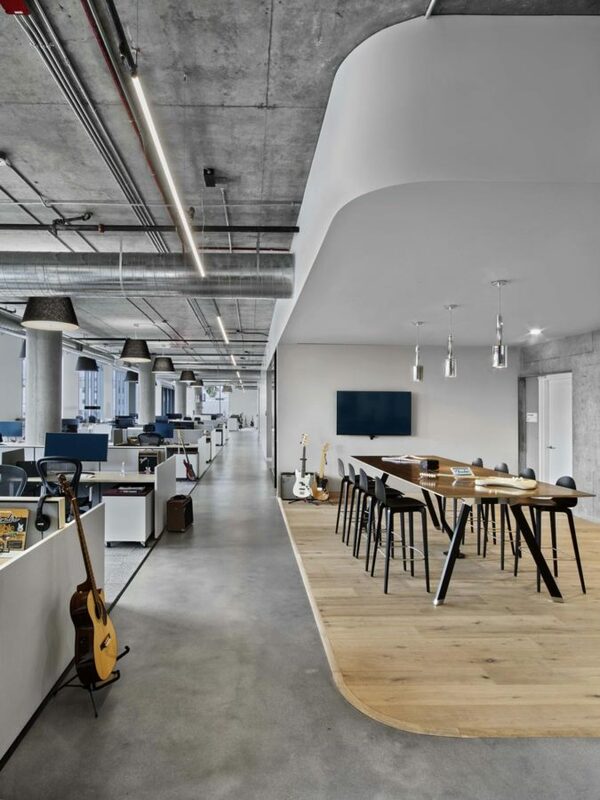 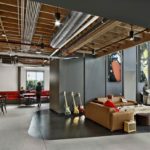 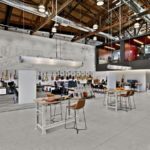 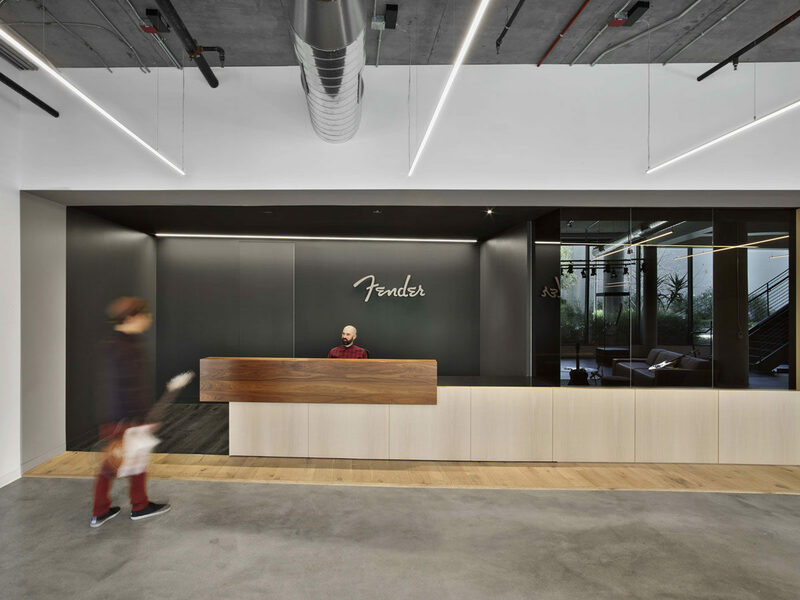 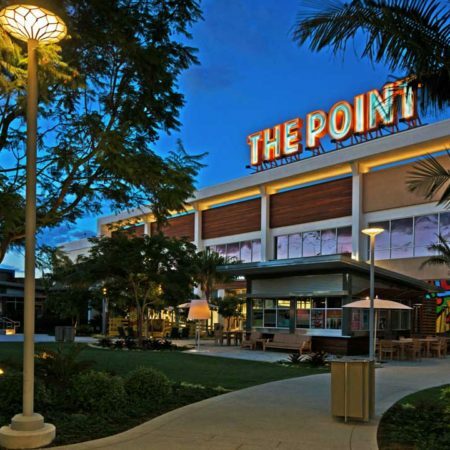 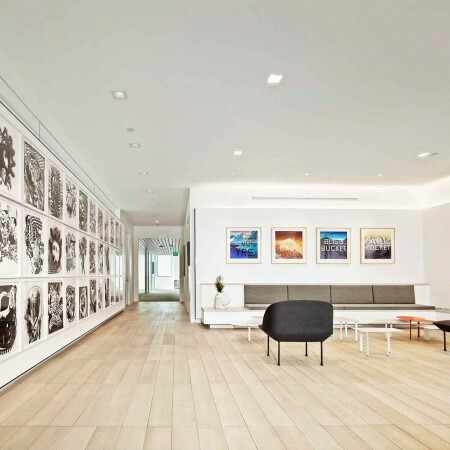 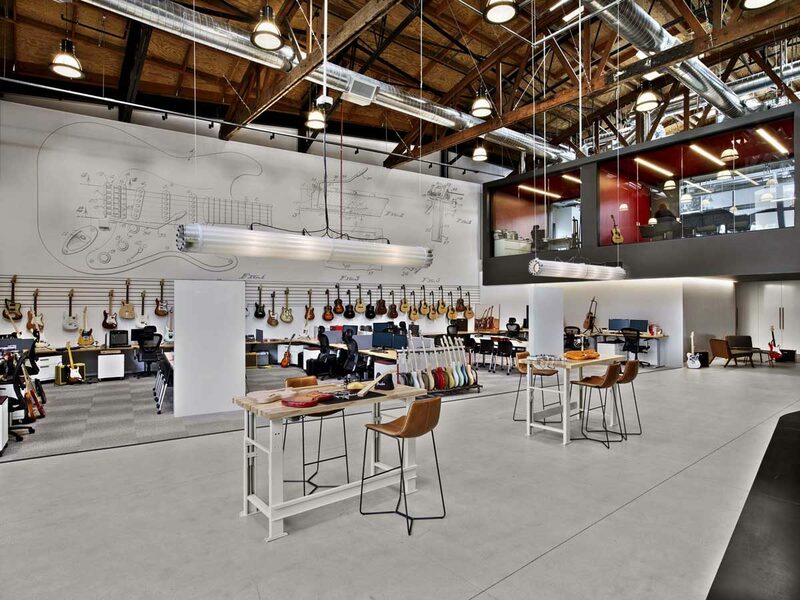 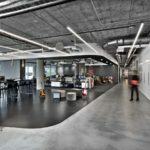 The corporate offices for a storied guitar manufacturer were relocated to the famed Sunset Strip of Los Angeles inside 33,000 sft of re-purposed buildings. 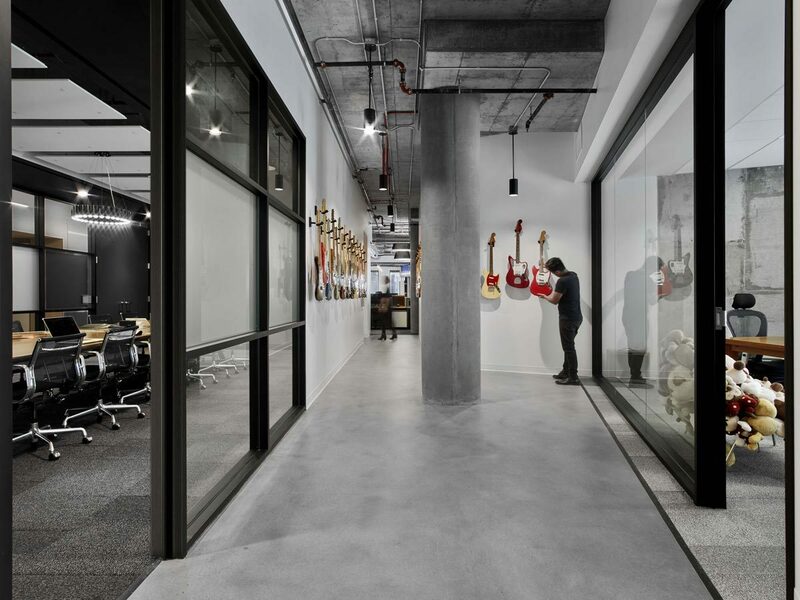 The architectural concept was simple: keep the spaces un-‘office-like’, and use the guitar as a metaphor to inspire sleek contours, rich colors and finely tuned hardware. 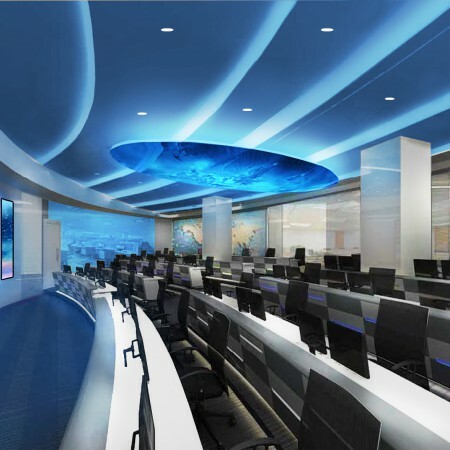 The lighting design needed to help in transforming the feel of a corporate work space into that of a creative workshop. 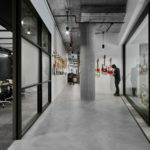 The lighting was successful in creating an artistic studio atmosphere, with luminaires that are visually appropriate and functionally efficient.